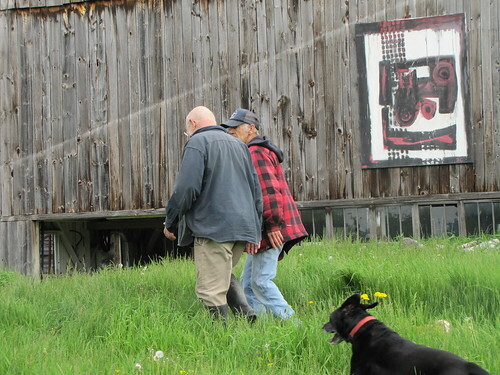 Power has been restored to the Art Farm and Crooked Brook Studios. Thanks to NYSEG and the crews and managers who have been working night and day -- literally -- to restore our electric power. Their skill and dedication is fundamental to modern life in the Adirondacks. We who make all or part of our living on line or on computer should never forget. Crooked Brook Studios without power. Thank you, Irene. Following Hurricane Irene, there is no power at the Art Farm. So for the moment, there is no Internet connection nor refrigeration. The phone works. The latest word is that we may be without power for as much as a week. Life goes on. 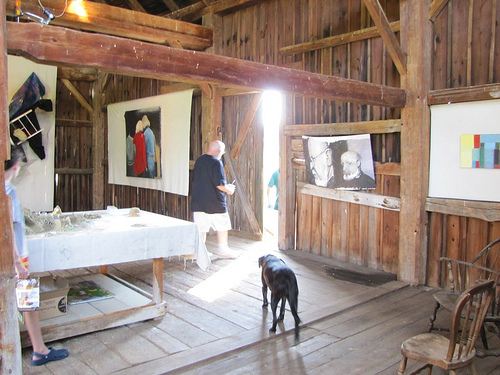 The Art Farm at Crooked Brook Studios in Wadhams will be open for the first time this season Friday, August 19 from 2 to 4 PM. 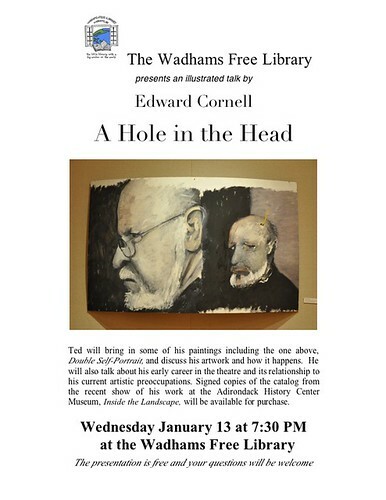 Paintings, drawings, and smaller constructions by the Farm's proprietor Edward Cornell will be on display and offered for sale. 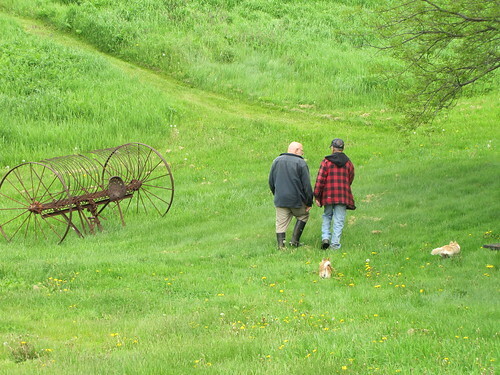 Thereafter the Farm will be open by appointment and on certain days to be announced. Announcements will be by email and may also be viewed on the website crookedbrookstudios.com. Appointments may be made by calling me at 518 962 4386. There will be a reception and party to celebrate the reopening of the Studios and the Farm on a date to be announced after Labor Day. The Art Farm and Crooked Brook Studios will participate in the Boquet Valley Studio Tour on Sunday, October 9 from 10 to 5. Art Farm scheduled to open for the season on August 19th, with events to be announced after Labor Day. 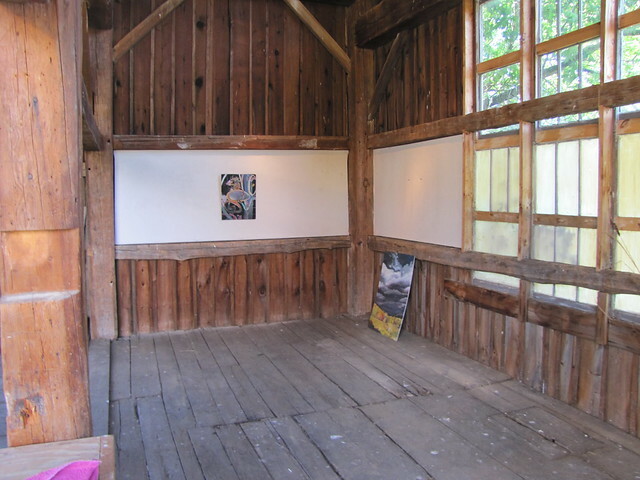 Inside the main barn, walls waiting to receive paintings.